The evolution of social media is gradually increasing at a rapid rate and so is its users. 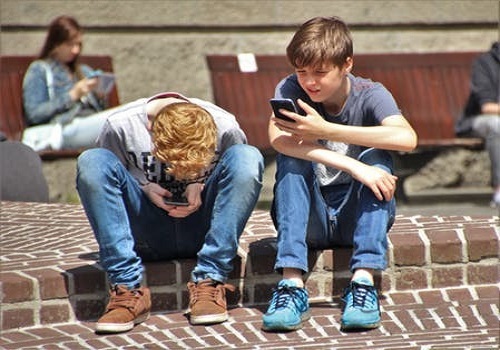 According to a research, it has been found out that 51% of teens of age 13 to 17 yrs use social media sites daily which is extremely bad for health. Most of the children spend more than half of their time on computers, mobile phones, PDAs instead of playing in the garden and doing some physical work. Now, parents have also started worrying about how exposure to technology is affecting their toddler’s mental as well as physical health’s development. Preschoolers are picking up new social and cognitive skills at a running pace but still they would not get affected by it if they sit all the time in front of their computer screen. Adolescence is an important age for the development of a brain.Today social media has become an integral part of a child’s life. The astonishing growth of social media among kids cannot be denied. Children are one of the main users of social media. Now, this platform is also marketing and motivating people to be a part of larger community. With vibrant apps and photography all children get fascinated and this results in more involvement of kids in social media. Indirect communication: Children nowadays are keeping themselves occupied in the hours. They neither do their homework nor do they chat with their friends, family much. All they do is chat online, share, troll, scroll etc. In earlier times, when they did not understand anything, they used to read, ask their elders, do some research but now all they do is communicate while looking at the screen instead of doing it personally. Cyberbullying: Most of the kids nowadays are the victim of cyber harassment. It is one of the biggest threats for kids communicating more indirectly. It is a cruel and dangerous practice. According to the studies, around 35% of children of age 11 to 17 years are bullied online. It could cause more psychological damage to a child as compared to the physical one. Stalking: One of the big things with social media and technology is that we are never alone. Kids update their status, share it with everyone that makes them vulnerable to stalking. They use apps that let them share their location with everyone that could be harmful for them. There are various other effects that could not only hurt a kid physically but also emotionally. There are many children who get fascinated about certain advertising that are too powerful for them to ignore. They get easily influenced by those ads and their buying habits get affected. What should be done by kids? The most important thing that should be done by kids is that they should use social media in moderation. Overuse of any thing is dangerous. It is important not to talk to strangers or share your private information with them. Keep a track of your regular activities and make sure that no one else has access to your accounts on social media. You can educate yourself about social media. Do no use it if you are not eligible for the sign up. Keep an eye on your kid’s daily activities on social media. Have a chat with your kid and tell him about all the consequences and dangers of social media. Keep the computer system in the common area of your room. Check your child’s privacy settings on a daily basis. You can use some filter softwares that could monitor your child’s internet usage. You can establish some ground rules with your child. You can limit your child’s use of mobile phones, social media etc. Every statement has two sides, positive and negative. It depends on us about what our perception is. Why do you get Obese?